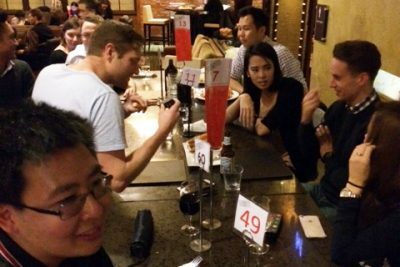 Recently, the Social Networking Actuaries Group (SNAG) asked members about their preferences for social meet ups. Bill Konstantinidis highlights survey findings and the committee’s goals. The Social Networking Actuaries Group (SNAG) has been running for just over a year and we wanted feedback on how we were going. To do this, we did what most actuaries love to do, collect and analyse data. A survey of 91 members revealed some surprising socialising preferences. Before we get into sharing the survey highlights, let us quickly introduce ourselves. There was a need to build on our very successful volunteer community and create avenues for actuaries to mix and network with other actuaries in a social environment. 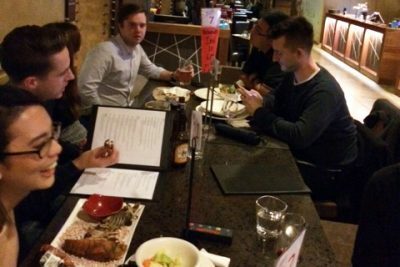 What we have done to date included a number of drink functions in Sydney and Melbourne, a trivia night, lunch catch ups and morning coffee catch ups. We asked members to participate in a survey and the results are in. Almost half (48%) of respondents had heard of SNAG. Which probably explains why only 10% of respondents had attended a SNAG event. So there’s some work to do in terms of getting our brand out there. There was also interest in activities like cycling, hiking and kayaking. Other quirky activities included online chat and poker games. So that has given us a bit of confirmation that we have been focusing on some of the more popular events people are interested in. Members from Brisbane and Adelaide would like events in their cities. Interestingly, those in remote areas preferred events they can access remotely. In terms of timing of events, after work was the most popular time (75%) closely followed by lunchtime (67%) with before work and weekend less popular (around 30% each). 76% of people preferred to have catch ups during the week in the CBD. We then asked what was the maximum members would pay for an event, 40% said $50, 50% said $25 and 10% said $10 or less. Meetup is a networking platform for catching up with people in groups of like minded people (eg bush walking group, data science, insurtech). We use this platform to keep people updated. Only 30% knew that we use Meetup and only 16% of members were signed up on Meetup. However, 80% wanted to hear from us once a month or more frequently. Finally, there was little recognition of who SNAG was and its committee members. Responses to the survey gave us a lot of encouragement for what we were doing and the next step is to bring more members to events.